That time is money is an age old tinsel town adage. However, in todayâ€™s world of technology, the phrase holds equally true for the blogging and micro blogging cosmos. Word press as a handy platform is used by thousands of websites and bloggers across the expanse of the globe. Such a wide acceptance of the platform arises from the fact that it is extremely user friendly and convenient to handle. Nevertheless, the platform is un-nervingly slow to load. A sluggish website that takes ages to load can prove disastrous for your business as it translates to the diminution of your brandâ€™s power and visitor aversion from your website resulting in dilapidated traffic. To overcome this shortcoming of Word Press, here are some simple steps you could employ for sparkling results. 1. Choosing an apt host- Depending upon the traffic you are expecting on your website and the graphic content of your website, your choice of host can well decide the future of your website. Host sharing, while a lucrative concept in terms of incurring costs, can mar the prospects of your website and traffic with the not so uncommon instances of slothful load speeds. 2. Compression of Images- In case of graphic heavy web pages, it is quite normal for the pages to load at a comparatively slower pace. To remedy this, images need to be compressed in a fashion that unwanted meta data and unused colors are separated from indexes, furnishing better outcomes. 3. Optimize Database Tables- Whether accomplished manually using PHP MyAdmin or with the aid of a plugin, optimization of database tables is the most fundamental and efficient way of speeding up your WordPress website. The purpose is as simple as cleaning junk from the website and freeing space for a better performance. 4. Using a content delivery network- Another elementary process to be adopted for speeding up the load time is the using a CDN that allows hosting of files across a range of bandwidths and an extensive network of servers across the globe which effectuates faster loading since the dispersion of bandwidth across servers trims download on any single server. 5. Filter amongst the installed plugins- Plugins are to be used judiciously since they are developed for different uses and by developers of varying skill sets. 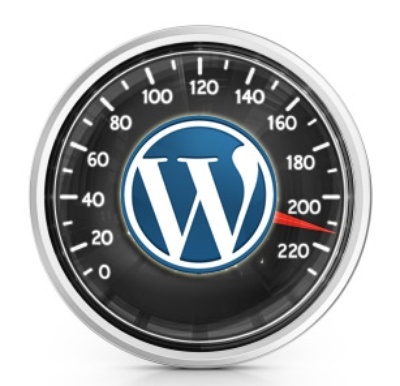 Remove any plugins that are unnecessary and you will find a visible difference in the loading speed of the website. There are a host of advantages to a faster loading webpage which can easily be effectuated suing one or a combination of the above measures. For best results, find out the problem areas and strategically improve upon them in sequence.